Confirmed creative team for the possible flagship title of the new Marvel Cosmic line. who's the crystal guy ? Diamondhead, an old Nova villian from the 70s. Sam‘s sparing with Richard‘s rogues gallery ? Hope some explanation of his origin and the whereabouts of Rich Rider come up. I still think I've missed something as both Thanos and Star Lord have returned and I've seen nothing to explain how or when. Apparently Avengers Assemble had the details. I've not been following that book. And I like the old Nova, not too sure I like him being stuck on Earth though. Rider was the last of the Nova Corps and took on that responsibility, trying to answer every call. 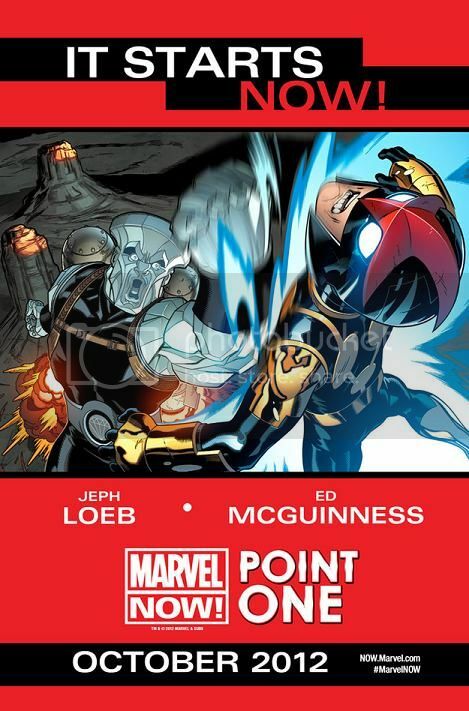 I haven't read Assemble either (the first issue really annoyed me), and wikipedia has no info, so I hope his series mentions his origin I've read all of Nova (Richard Rider)'s first volume, and it was ok. I read some of his last volume, too, and also The thanos Imperative. I wish Rich was back, but I'll give this Nova a chance. I can think of no good reason why he should stay dead when many others haven't. His character was fleshed out rather well from Annihilation & on... To finally build a character like that just to leave him in the bin and all of sudden have a new Nova, in a second rate costume, is bs. How: as that is a Bendis book the explanation is seemingly just coz he wanted to use those characters. how many Avengers teams/books are out there right now anyway ? Minus Avengers Academy though, cancelled & replaced by Avengers Arena. I've double checked over this first arc of Avengers Assemble, and still can't see an explanation. They just turn up with no questions asked by anyone. It is frustrating to say the least. I can handle most weird plot lines, and resurrections without too much fuss, but on this one...I NEED AN EXPLANATION!!!! But to bring him back and give him to Loeb? after reading his more recent stuff, I'd rather Richard stay dead.. let him ruin some other guy!